Sourced directly from our 6th generation family farm in Victoria's Wimmera. in the heart of Victoria's Wimmera. 3 hours from Melbourne it makes for a nice little drive and we think it's pretty beaut! Our 6th generation family farm started growing pulse crops as a rotation alternative in the early 80's to the more traditional cereals. The methods in which to farm these pulses have improved dramatically since their inception and are now an integral part of our farming operation. We have a fond love for our chickpeas & lentils and hope to share their value with as many as possible. Not only do they taste great it seems people are catching on that they're good for you too! We love our land and by undertaking sustainable farming practices means we hope to still be here in another six generations time. We invite you to share our lovely produce and value where it came from. The 'Wits End' property from which the farm operates today is just south of Rupanyup. Where is Rupanyup you say? Located in Victoria's Wimmera the small regional town sits 300km northwest of Melbourne. This thriving metropolis of 300 odd people, has plenty of ticker with the town slogan of 'a town with a pulse'. A cheeky play on words for the very pulses we ourselves produce! Some have even called it the pulse capital of Australia. There is no doubt the noble title has been self appointed but we are certainly happy to endorse it! Rupanyup - A town with a pulse! Wits End - How it came to be? Now to the other burning question. Why Wits End? Well we have our 4th generation veteran grain grower Greg to thank for this little beauty! When the property was being built appointing the name proved to be a point of difference. After weeks of discussing a variety of prestigious and ridiculous names including 'Honeysuckle Lodge' and 'Yew Tree Cottage Estate' (these were not actual considerations) a name could not be agreed upon! Those involved were at their wits end. So instead of choosing an elite and noble title with years of grande and historical family reference it was decided. Wits End it was. And we couldn't be happier. It sums us up pretty well. Unbeknown when the property was first built was that the surrounding soils and broader Wimmera region provide the perfect environment for growing pulses. Typified by an open landscape of wheat and barley crops, pulses were introduced as a rotation alternative in the 80's. 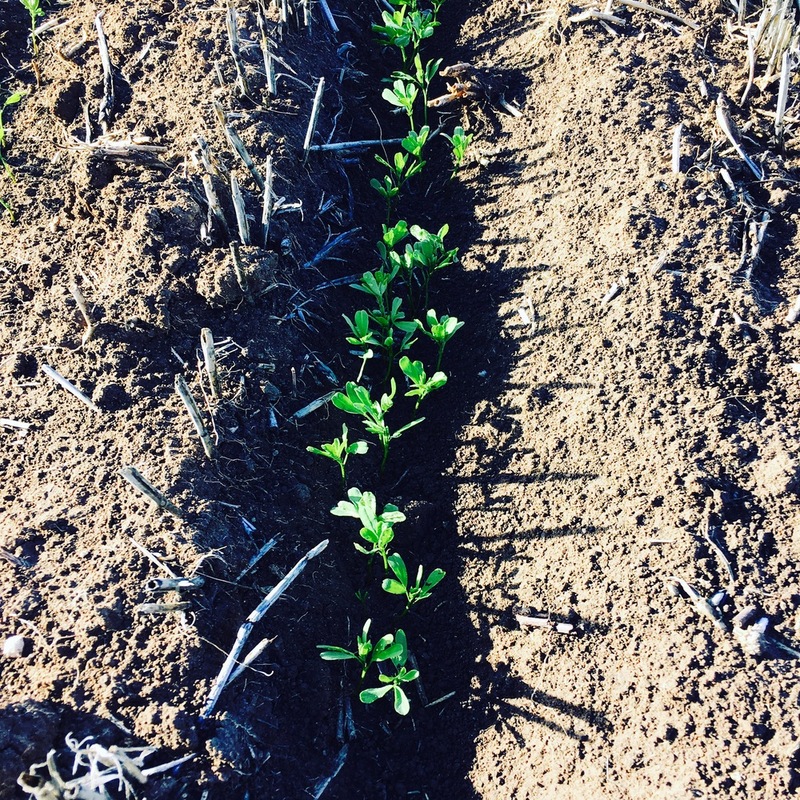 Ongoing improvements in cropping practices have meant pulses are now an integral part of our cropping program. The rich self mulching soils on our property provide the required nutrients for us to produce the highest quality lentils, chickpeas and faba beans. This is all depends on one thing though; the rains! Our crops are grown from natural rainfall, which is the make or break factor each season! A broader rotation program, and no till adoption makes for a sustainable farming practice that allows us to maintain our healthy soils for years to come.